Try this Weight Maintenance tip to get you through the holidays! - Real Food. Real Fitness. Try this Weight Maintenance tip to get you through the holidays! There is a critical component of healthy weight maintenance that is often overlooked. Sure we have all heard the usual advice of eating a healthier diet, decreasing stress, exercise, and getting more sleep. But what about ensuring you are getting a regular supply of good bacteria in your gut? Yup, its true! These good bugs may hold the key along with healthy diet and lifestyle to keeping the scale numbers from climbing. Multiple studies are showing that most people do not have the optimal balance of good and bad bacteria in their intestines. This imbalance can wreak havoc on your health and contribute to being overweight or difficulty shedding excess weight. If you have an unhealthy gut the excess bacteria can cause gas and bloating, fatigue, sugar cravings, nausea, and even headaches. What causes an unhealthy balance of gut bacteria? Bad gut flora can eventually lead to leaky gut. To understand leaky gut think of your digestion system as long straw from your mouth to your bottom. Everything that goes in that does not get absorbed or used comes out the other end. In the case of leaky gut the straw has holes in it due to bad bacteria. Basically leaky gut is when the intestinal wall becomes permeable and protein molecules can escape. These don’t belong inside the body so it creates an autoimmune response. Leaky gut sounds like its all a digestive problem but it may manifest as much more. Many conditions have been linked to leaky gut such as autoimmune disease, eczema, depression, psoriasis and other skin conditions,obesity, diabetes, allergies,brain fog, and asthma. There are steps you can take to restore your gut flora. First and foremost would be to remove toxins from your diet. Switch to organic produce, organic pastured meats and follow a REAL WHOLE foods grain free diet such as paleo/primal. Including homemade bone broth into your diet will also help heal the gut. Also managing stress is crucial. Establishing a good balance of probiotics in your gut will help in numerous bodily functions such as digesting and absorbing certain carbohydrates, producing vitamins, absorbing minerals and eliminating toxins, and keeping bad bacteria under control. To get more probiotics into your daily diet try eating more cultured dairy like yogurt and sauerkraut but skip the conventional brands. 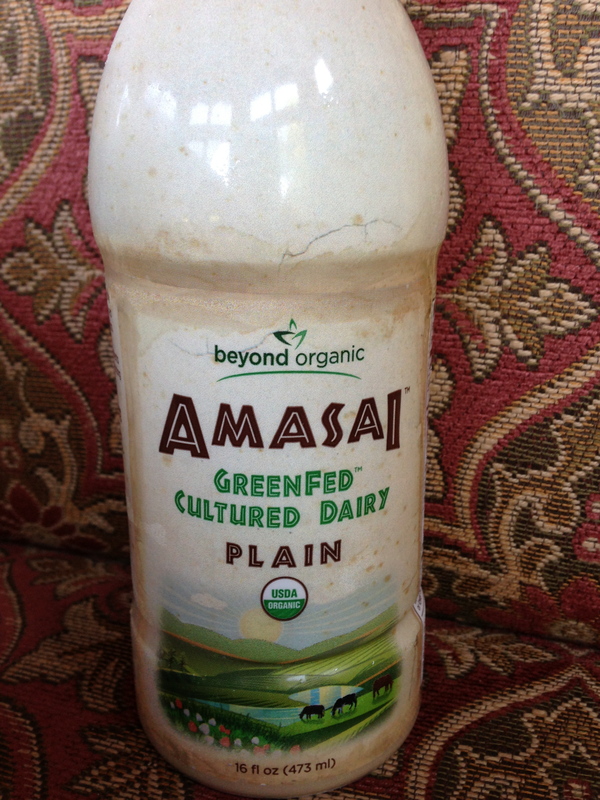 Eat the traditionally made unpasteurized raw versions (pasteurization kills the naturally occurring probiotics). You can find these easily at farmers markets and smaller health food stores. Some other great options are fermented milk such as kefir, Amasai milk by Beyond Organic,raw kombucha tea, and various pickled veggies such as turnips, cucumbers, onions, carrots, and natto (fermented soy). A good probiotic supplement is a great choice. These can mostly be found in the refrigerated section of Whole foods or other smaller health stores. They come in capsule and powder form or even in the form of a liquid such as coconut kefir water. Another option is through Beyond Organic whole foods company. Your intestines manage the digestion and absorption of the foods you eat. Taking probiotics helps to reduce intestinal inflammation and aids in digestion. Research is showing this could help prevent the buildup of body fat. The Bottom line is probiotics and fermented foods will keep digestion running smoothly in case you do overindulge at those holiday parties! They are good for overall health and weight management and should be something you consume daily either in food or supplement form!